Fall isn’t far off at all! I have to say, it’s my favorite season by far. It’s chockful of fun holidays with great food and fun activities for kids of all ages. 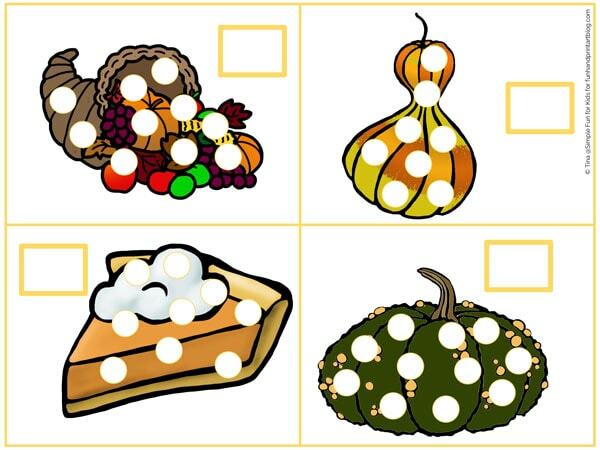 The printable Fall Food Counting Cards I’m sharing today feature typical yummy fall foods to add interest to this basic math learning objective: corn, turkey dinner, apple barrel, acorn, cornucopia, 2 different types of gourd, a piece of pie, turkey, a complete pie, and 2 different types of pumpkin. The cards focus on numbers 5 through 15. If you’re interested in other numbers, you have some alternatives right here: Fingerprint Soccer Ball Counting Printable which goes up to 20, and an American Flag Fingerprint Craft and Math Printable that even goes up to 50! Tempera Paint or washable ink pad. Paper plate or similar to hold the paint. The pdf file includes 12 different counting cards with numbers between 5 and 15 on three pages. On each card, there is a space for your child to write the number of spots they’ve counted. If you’d like, you can simply print out the pages and let your child get started right away. Alternatively, you can cut the cards apart first. 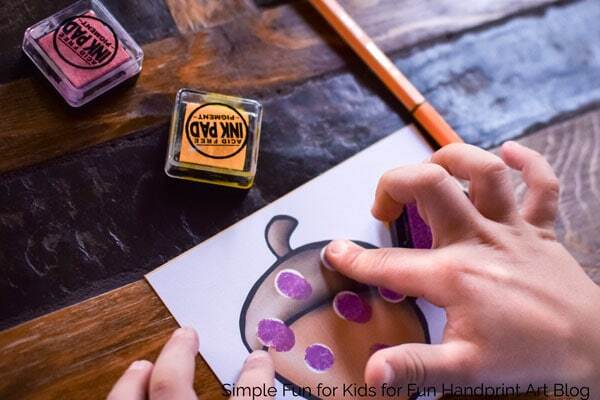 Fingerprint counting is the most fun way to learn to count, so provide some nice thick paint or a washable ink pad and let your child count aloud with the help of his or her fingers! This was the first time we used ink pads, and my daughter tells me that she prefers them to paint. 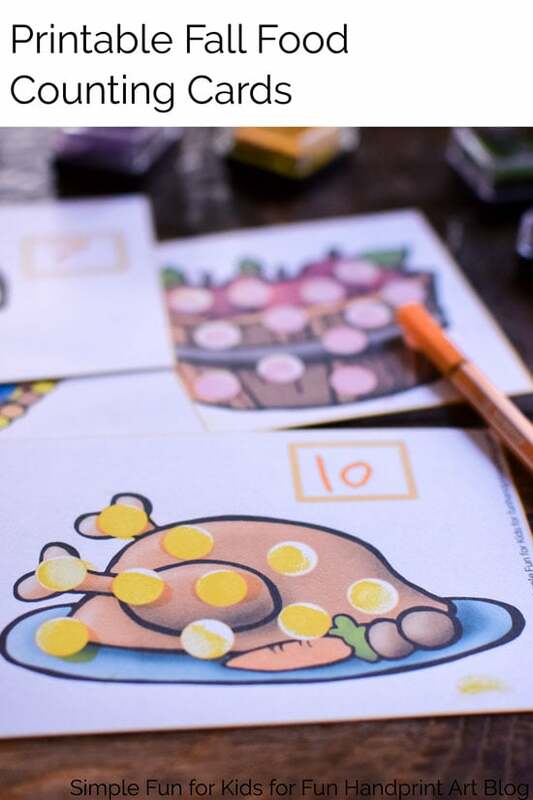 For more simple counting activities up to 10, check out my Hello Sunshine! Counting Printable Pack! 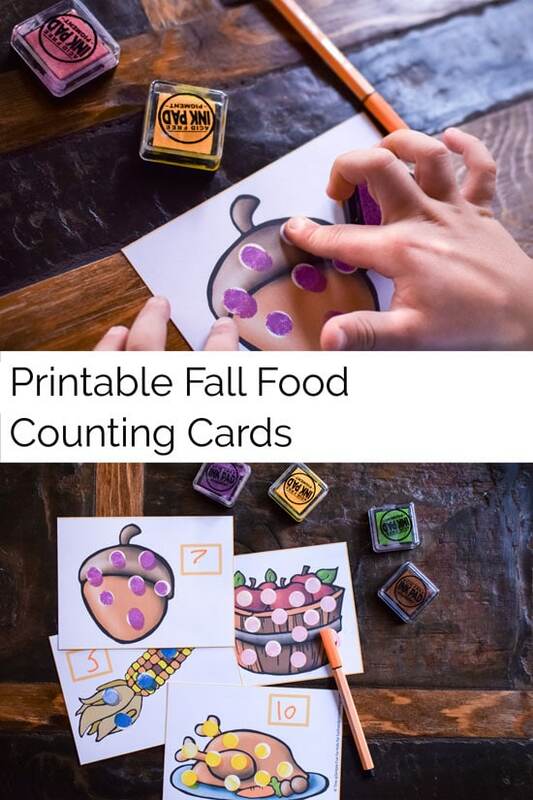 Looking for more fall learning activities like the Fall food counting cards? I think you’ll enjoy this fabulous Fall fingerprint tree that incorporates fine motor skills and counting and this easy thumbprint acorn craft!